The collective sale committee of Pearl Bank Apartments at Outram Park announced that it has instructed marketing agent Colliers International to enter into private treaty negotiations with interested parties. The public tender for the site closed on Dec 19. According to laws governing collective sales, owners may enter into a private treaty contract with a buyer within ten weeks from the closing date of the public tender, notes Tang Wei Leng, managing director at Colliers International. Tang says the tender for Pearl Bank Apartments attracted “keen interest” from developers. “The collective sale committee is evaluating its options, taking into consideration concerns raised by interested parties,” comments Tang. Some of the concerns developers raised include the need to conduct a pre-application feasibility study – which affects the number of units that can be built on the site – as well as uncertainty over whether they would need to conserve the development in the future. 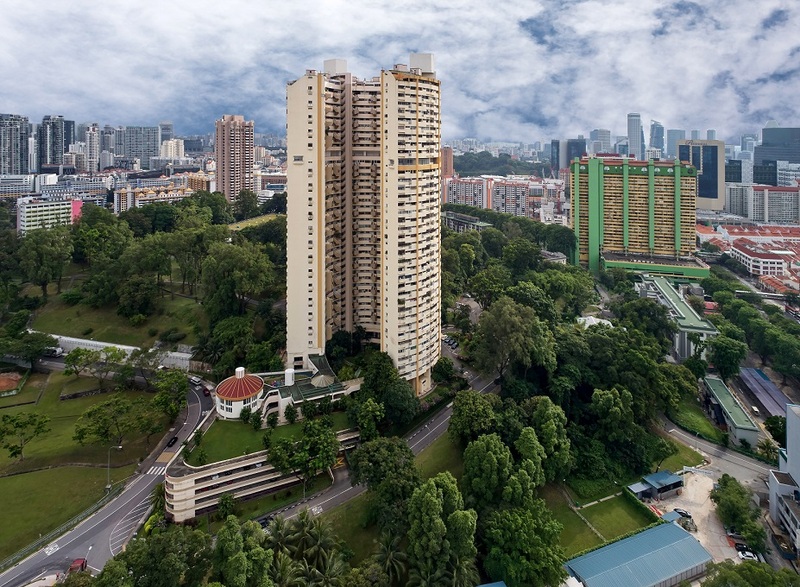 Colliers International announced that the 41-year old Pearl Bank Apartments was making its fourth attempt at a collective sale on Nov 15. The existing development on the 82,376 sq ft site has 280 apartments and eight commercial units. Under the 2014 Master Plan, the site is zoned ‘residential’ with a gross plot ratio (GPR) of 7.2. However, it has an existing GPR of 7.4479. Subject to authorities’ approval, a developer can build a project with a gross floor area of 613,530 sq ft on the site, which translates into approximately 730 units, assuming an average size of 800 sq ft for the new units. Pearl Bank Apartments, which has a balance lease term of about 52 years, is located within walking distance of the Outram Park MRT interchange and is near the upcoming Maxwell MRT station on the Thomson East-Coast Line. The site is also located within a 1km radius of Cantonment Primary School and the Duke-NUS Graduate Medical School, Singapore.